Another year has flown by and like always, it’s time to reflect back on the stand out films and comics that came out. 2016 was one of the worst years for films but 2017 ended up being one of the strongest in quite a while. There was no shortage of interesting and exciting films, with some of them meeting expectations and others underwhelming. The comic book world continued to produce quality stories, but they weren’t quite as good as last years batch of comics. Stay tuned for the list of the best comics of 2017! Nevertheless, there is plenty to talk about and recommend. Without further ado, let’s get right to it and dive in to the Best Films of 2017! People always seem to flock to the theaters whenever Christopher Nolan directs a new film. Whatever your opinion of his work, there’s no denying his singular and creative vision. He almost never repeats himself and he always tries to do something different with each new movie. Dunkirk had a lot of fanfare going in. It’s Nolan’s most simple film, from a story point of view. At it’s core, it’s about survival and everyday heroism. The goal is to make the viewer feel as if they are there, evading the bullets and struggling for breath. At this, the film succeeds in spades. It’s failings lie in a lack of characterization that leads to the plot, ironically feeling TOO simple. It’s very difficult to care about the characters portrayed in Dunkirk. You might root for them, but it’s hard to care about them. Nolan does play with some interesting time changes, going from the past to the present but it still isn’t enough to elevate the film any further up this list. 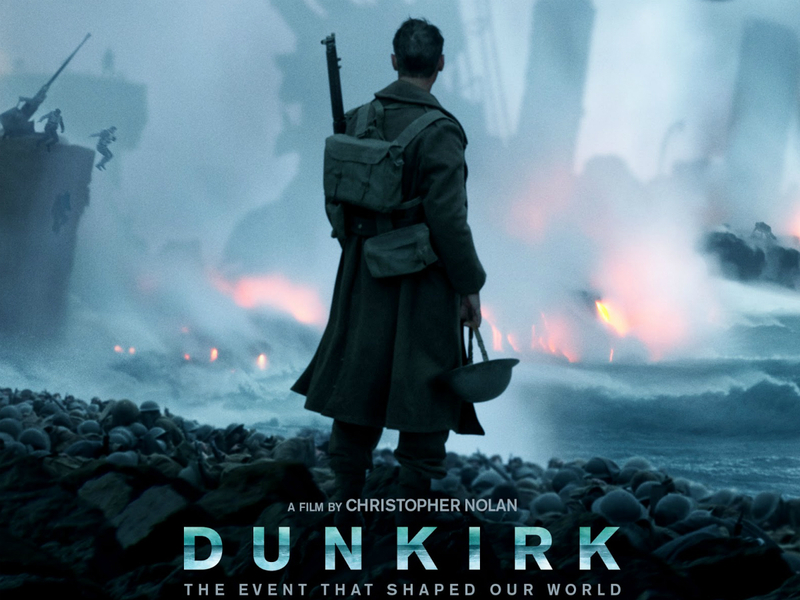 Still, I’ve never seen a war movie filmed quite like Dunkirk. For it’s innovation and ambition, Dunkirk deserves to be on this list. 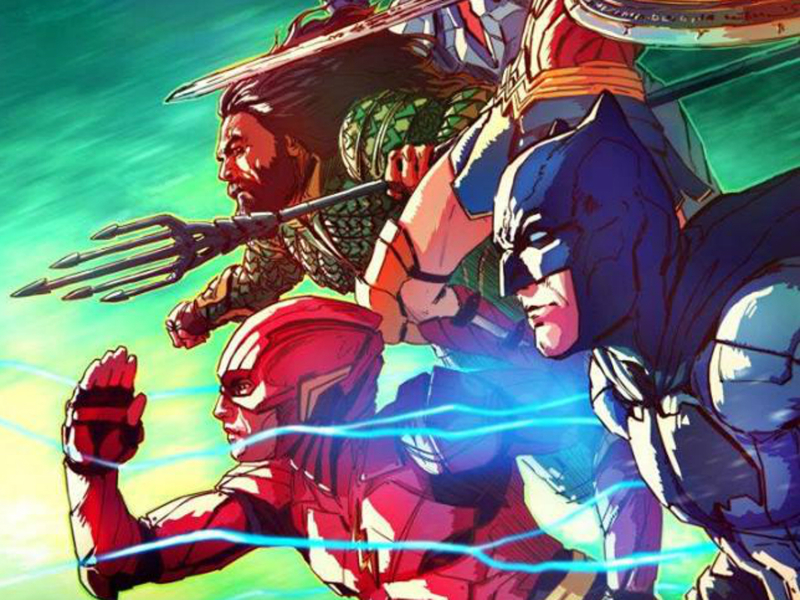 Justice League is a film that got a very bad rap and could not recover. Rotten Tomatoes were key in the bad press for Justice League. It did not deserve to be destroyed as harshly as it was. How can Justice League have a score of rotten and Spider-Man 3 have one of fresh!? Either way, it’s important to watch this movie and FORM your own opinion. Is it perfect? Not by a long shot but could you enjoy it? I’d say yes. I know I sure did. The film greatly improves and undoes some of the damage Batman vs Superman did. Both Batman and Superman, are much better portrayed in this film. Superman especially. Batman actually feels more like the Batman from the Justice League comics, not EXACTLY the same but closer than I expected. Wonder Woman was strong and Cyborg turned out to be the best new character in the film. Aquaman was okay. He wasn’t MY Aquaman but he didn’t offend me either. Flash was probably the weakest and most annoying and yet, I saw his function in the film. The villain was formidable, but forgettable. The story is a riff on Avengers. Just another alien invasion yada yada, but was it ever fun and entertaining. I may be a bit biased as I am a huge Justice League fan but I actually went in HATING the trailers but came out pleasantly surprised. This smaller scale film deserves more attention. Its got a great cast of actors who are led by another great performance from Michael Keaton. 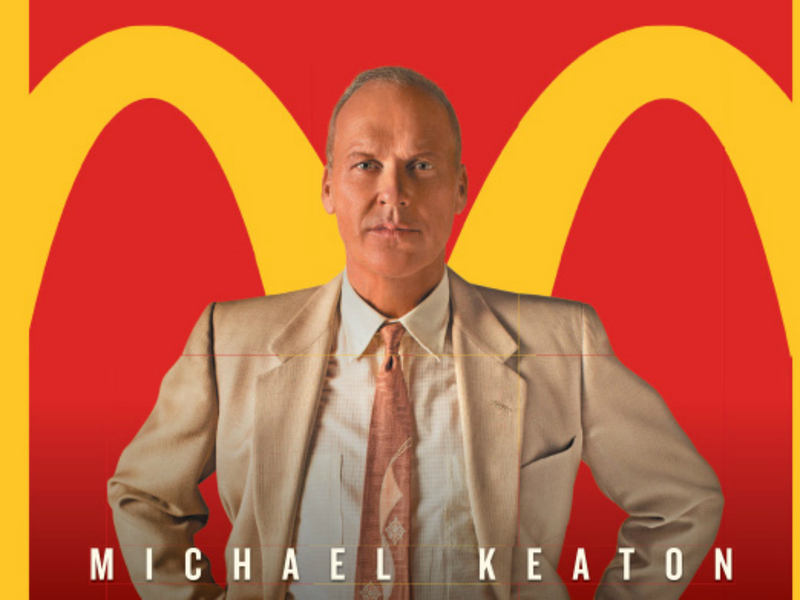 Keaton plays Ray Kroc, the man responsible for the mega success of McDonald’s. The movie shows just how he came to get control of an idea that was never really his to begin with. Kroc is portrayed as both someone to be admired and someone to be hated. Everyone knows McDonald’s and chances are you’ve eaten there at some point in your life. McDonald’s has always been the most popular and cheapest fast food joint while not always being the healthiest and most respected of them all. The film gives unique insight as to why that might be through the examination of the characters. Keaton was snubbed at the Golden Globes but may very well get some attention from the Oscars. At the end of the day, The Founder is a movie that is enlightening and informative as it is entertaining and should be watched by anyone with even a remote interest of how the McDonald empire came to be. DC was in dire need of a hit after the critical bashing of Batman vs Superman and Suicide Squad. Thankfully, Wonder Woman ended up being that hit and even exceeded expectations. 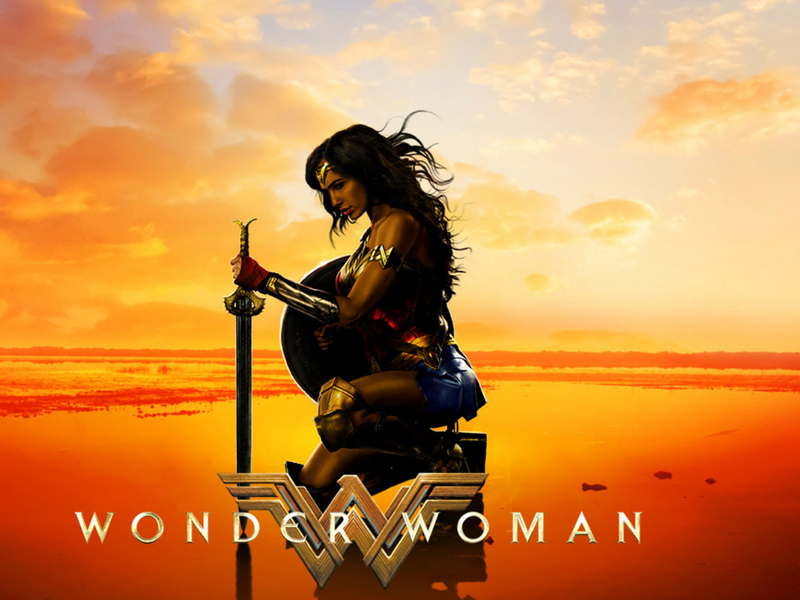 Before Star Wars: The Last Jedi took over, Wonder Woman was the highest grossing movie of the year. It seemed to connect with both critics and fans, which is very rare for a DC film. The hype was strong with this one and for good reason. Was it the best movie of the year or the best comic movie of all time?… No. Not at all, but the movie did a lot of things right. Wonder Woman felt like she was supposed to. They didn’t shy away from what makes her the hero she is. Gal Gadot greatly improved her acting and gave Wonder Woman an undeniable charm. She still isn’t the BEST actress but kudos must be given for her performance in the movie. The supporting cast was excellent, led by Chris Pine’s Steve Trevor. The villain (Ares) should’ve been better and the CGI heavy third act hold back the movie from being a truly excellent film. Still, it was great fun and it honored a character that deserved to have a quality film. After all, Wonder Woman is arguably the biggest female superhero of all time. 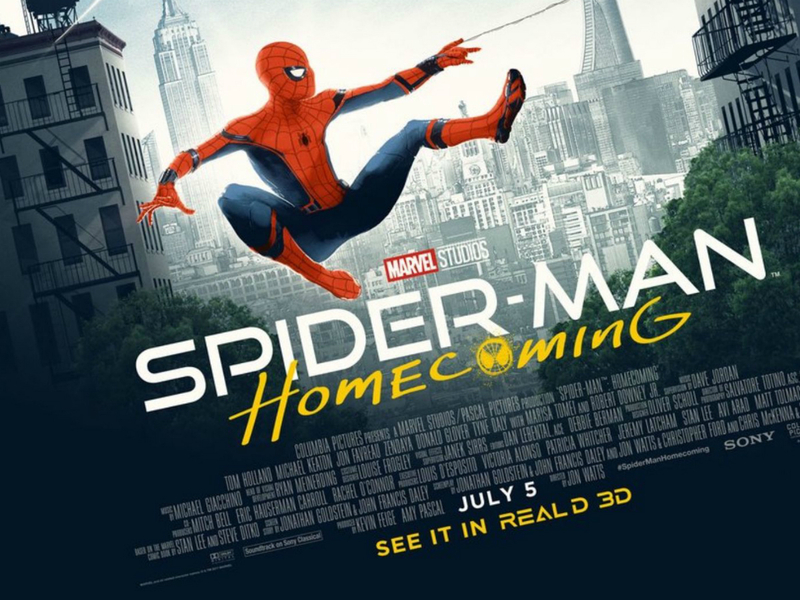 Fans finally got to see Spidey in the MCU thanks to Civil War, and now they got to see him in his own film set in the same universe as Thor, Iron Man in co. Iron Man is even in the film. Many times, having a film tied too much to continuity is a bad thing but it works here. The nods to Avengers actually enrich the plot and it’s main villain. That’s right, Marvel actually had a good villain in one of their movies. Michael Keaton plays the Vulture and really made him relatable while still being a credible threat. Tom Holland plays a younger Spider-Man, but that doesn’t mean he wasn’t good. He has a good balance between humor, seriousness and earnestness. The movie has a lot of humor but it didn’t distract. The serious moments were treated with seriousness, meaning you never lost the drama and you always felt the stakes. Spider-Man also had a great character arc. You saw him grow throughout the whole film. It also paid tribute to the comics with several homages. The movie actually replicates a rather famous scene from Amazing Spider-Man #33. It’s these little touches and more that add to the quality of Spider-Man: Homecoming, Making it dare I say, the best Spider-Man movie of all time? Baby Driver’s conception came from the unique mind of Edgar Wright, who brought us such films as Hot Fuzz and Shaun of The Dead. It took a lot of his effort, time and money to get this movie done, and the end product showed. 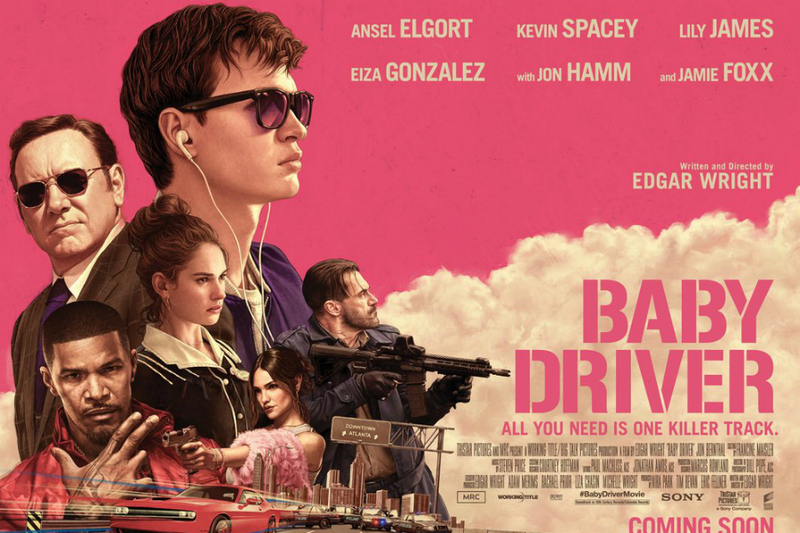 Baby Driver may seem oddly similar to 2011’s Driver but it’s execution is much different. It’s certainly a much more hopeful film and has it’s own style. Perhaps not as unique looking as Driver but unique all the same. The characters really drive this film, no pun intended. Each of them feel interesting and the actors portraying them only make them more mesmerizing. Jaime Foxx steals the movie with his portrayal of the insane Bats. Talk about an appropriate name. The music in the film is really what sets it apart. It’s not just thrown in there as background music. It’s directly tied into the narrative of the film and actually quite necessary. It even has a satisfying and less predictable ending. Baby Driver was a refreshing change of pace from the saturated CGI driven movies that dominate the box office. I urge you to check this out if you enjoy good dialogue, music, cinematography, acting and overall fun. It turned out to be to difficult to choose between these two great films. One an exceptional sequel, and the other a very pleasant surprise. Blade Runner is a very worthy sequel to the original Blade Runner. 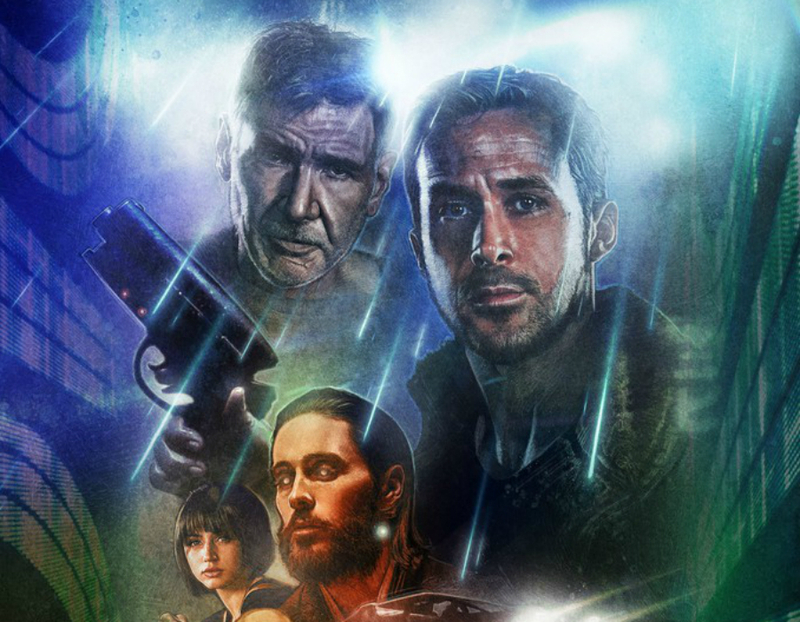 More than 30 years later, Harrison Ford reprises his role as Deckard but it’s Ryan Gosling who leads this film. The striking visuals and cinematography ranks right up there with the best films of the year ut above al, the most impressive thing about the film is the story. It’s an engaging and cerebral plot, which forces you to pay attention and think. It had been quite some time since I was as mentally stimulated. Perhaps a bit overlong on time for some people but, I fel that the length was justified. It was the remake of the classic 90’s film starring Tim Curry, and it improves on nearly everything from the original. Tim Curry is still an inch better as Pennywise the clown. 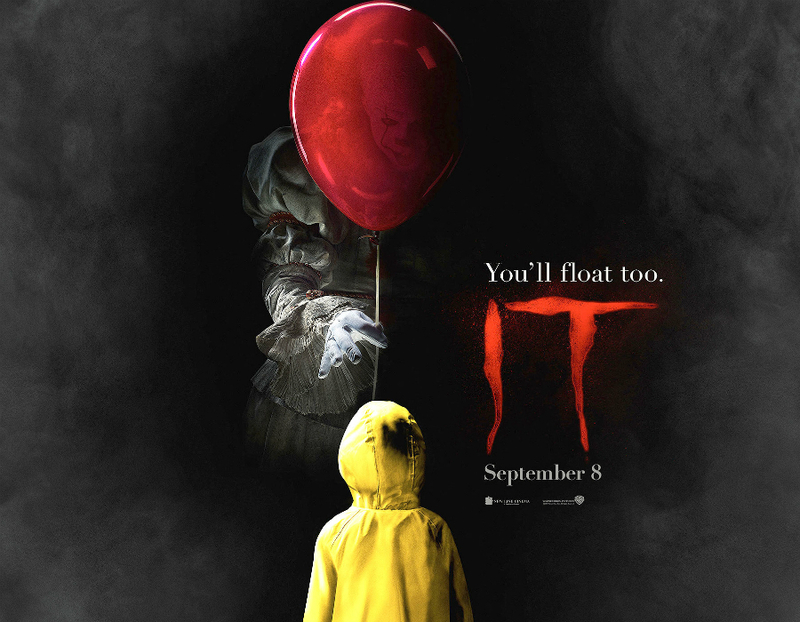 The remake greatly improved the characterization of it’s main cast and executed the story far better than the original. The cast of kids really did a good job. It felt like an R rated Spielberg movie. If you liked Stranger Things it’s a strong possibility that you will enjoy It. Ironically It was a surprise commercial hit while Blade Runner: 2049 under preformed. Logan was my favorite film of the year for a long time, and it still may very well be. The top three are easily interchangeable in their ranking. I wrote a longer in depth review of Logan early in March which you can read for further analysis. 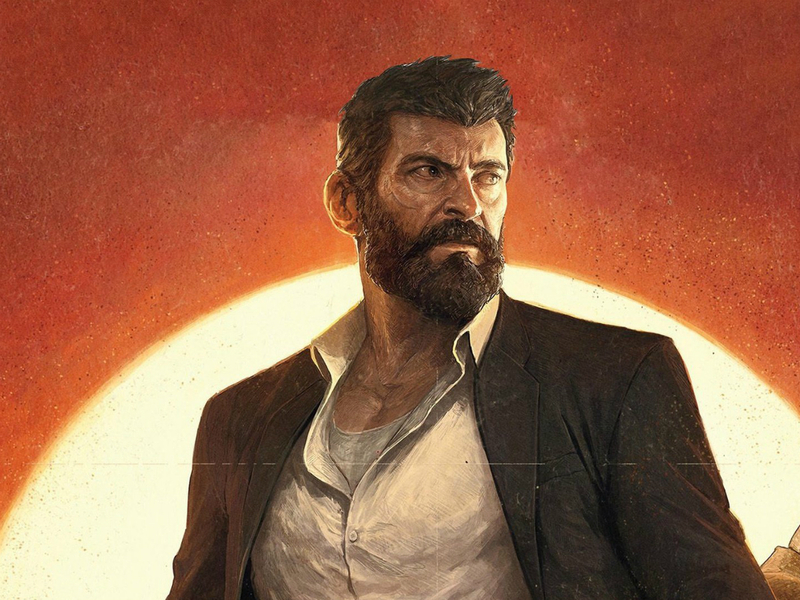 Logan is Hugh Jackman’s last stint as Wolverine. It’s a gut wrenching, emotionally charged performance that is easily his finest of the whole series of X-Men films. Keep in mind that Hugh Jackman has been Wolverine for more than 15 years! Logan treats the source material with plenty of maturity, choosing to focus on a small cast and repercussions of a lifetime of violence. It felt more like a western in the vein of Unforgiven rather than another entry in the X-Men cinematic universe. Logan is not just a great comic book film, it’s a great film period. Guillermo Del Toro’s The Shape of Water, may very well be his most impressive film to date. Del Toro states that it’s his most personal film that he’s most proud of. The film has been a critical success throughout the year. Getting attention at various film fests and taking in 7 Golden Globe nominations along the way. At first glance it’s a tough sell for many movie goers. After all, we are talking about a mute woman in love with a lizard/aquatic monster. 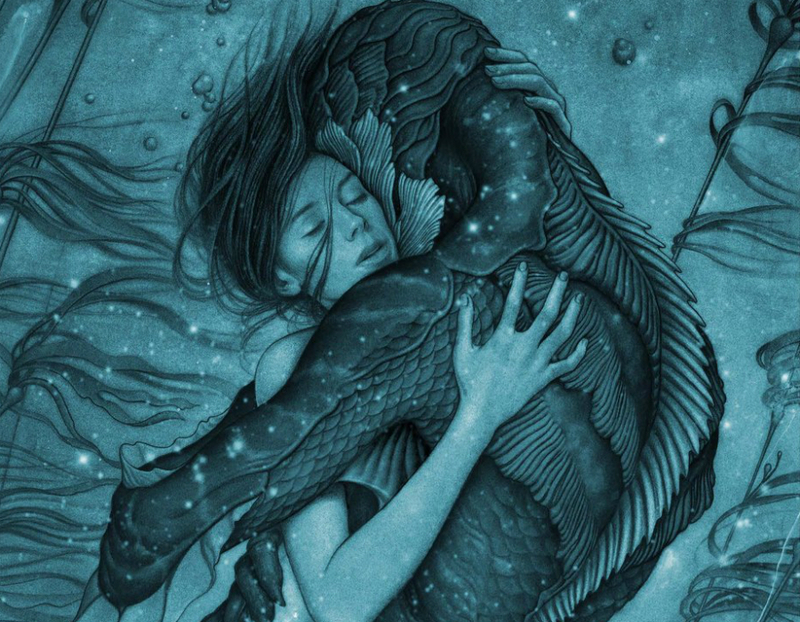 Look past your initial trepidation and you will appreciate a truly beautiful film.The Shape of Water is a very original take on the familiar tale of love & loss. Don’t be fooled, the film does have a hopeful message despite some of the tragic nature of the story. The visuals are fantastic and really take you back to America during the height of the cold war. The entire cast is outstanding, with Sally Hawkins leading the way as Elisa, a mute woman that works in a secret government laboratory where she meets the “monster”. She communicates throughout the whole film in American Sign Language. Hawkins went through careful research for her role, making sure she could accurately portray someone who only spoke Sign Language, and it shows. Michael Shannon played the main antagonist in the film and you WILL hate him, he’s that good. Kudos must be given to Doug Jones for portraying the creature with humanity and making you care about him. The script is phenomenal, especially the dialogue but all these things have to be credited to the director Guillermo Del Toro. Without his hand at the wheel, the film would not be what it is. The Planet of The Apes trilogy has to be given its due as arguably the most constant trilogy of all time. There really isn’t a weak entry in the series. 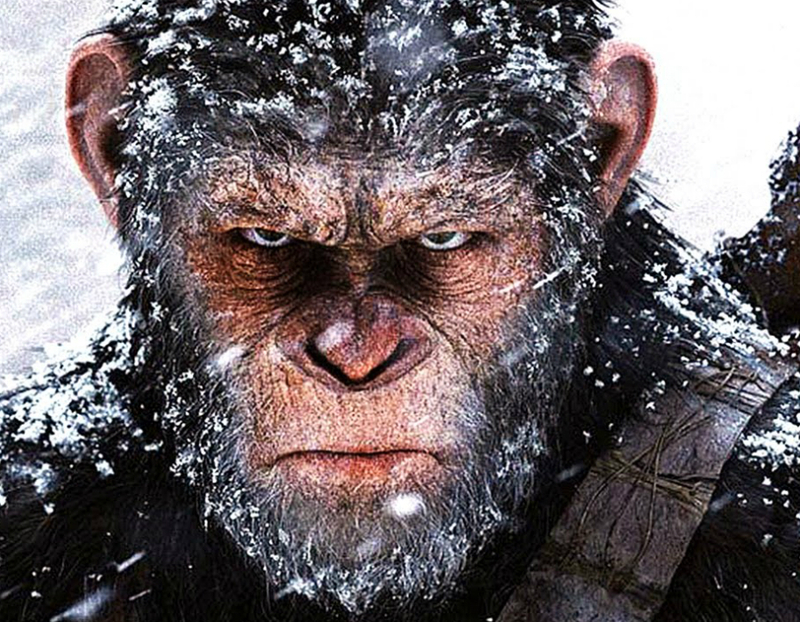 Dawn of The Planet of The Apes blew my mind and set the bar high for the sequel. Like The Shape of Water, War For The Planet of The Apes is more than what it appears to be at first glance. Yes, there are Apes riding on horses and wielding machine guns but that’s not what should define your opinion of the film. There’s a deep story there with relevant and timely themes. It is determined to have a message and not just be an action movie with no brains. If you look carefully, you will find a lot of subtle commentary on various social issues that still exist today. It’s daring portrayal of the apes should also be commended. Most of Apes rely heavily on using Sign Language and physical acting to communicate their thoughts, feelings and emotions. Any Serkis must be given credit for the incredible acting he continues to deliver as Caesar. I am continually surprised as to how much he conveys through his CGI characters. War For The Planet of The Apes can be bleak but it’s a rewarding and unforgettable viewing experience that is a fitting end to a fantastic trilogy. There you have it! let’s hope that 2018 shapes up to be as good a year as 2017.